Several years ago a pair of movies hit the big screen featuring a loveable, wise cracking robot as the central star and hero figure. 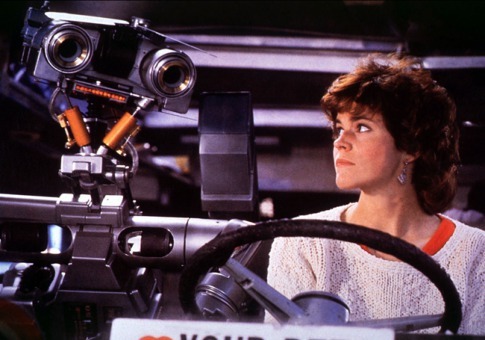 One word seems to define this robot in the mind of many who remember the movie and that is input. This mechanical marvel with a human personality was starved for “input” to feed its vast memory banks and satisfy its craving for knowledge. Our minds surpasses the complexity of the finest computer systems man can make. It is the greatest multitasker and creative interpreter of data, working around the clock from its earliest moments of existence until its final function at death. The continuous service life of the human computer may span as much as one hundred years or more. At least two things are significantly different about your brain. You decide what input goes in and when and where to focus your virtually unlimited thinking power. Some people focus the potential of their incredible brains on advanced theories of astrophysics, while others prefer to memorize endless columns of sports statistics. A few study the intricacies of human languages while entire generations prefer to focus on the latest fashions, street slang, and social trends. Our society seems to be addicted to the “blame game.” People seem to want to blame instead of accepting responsibility for their own choices. There are times in life when we can become negative, discouraged and then we make it worse when we chose to water it, nurture it, coddle it, and help the negative grow. My mother use to tell me that nobody can make you depressed. She also said, if you’re not happy, nobody is forcing you to be unhappy. If you’re negative and you have a bad attitude, nobody is forcing you to be unhappy. if you’re negative and you have an attitude, nobody’s coercing you to be bored, uncooperative, sarcastic or sullen. She taught me that it wasn’t the circumstances that had me down, it was my thoughts about the circumstances that had me down. She would also remind me to take time, and think about what I was thinking about. Obviously we can’t ignore problems and live in denial, pretending that nothing bad ever happens to us. That’s unrealistic. Is it? My mother was a list maker and she encouraged me to make lists too. We called them our “Ben Franklin” lists. Every now and then we would make a thought list and list the thoughts that were dominated in our thinking, those that only crossed our minds occasionally, and those that never seem to find their way into our minds. She said, that negativity, cynicism, scorn and pessimism are viruses and diseases to the human soul. They can eat away at our personality and faith like runaway cancerous growths. If your attitude is dominated by negativity it’s possible to change your attitude but it doesn’t happen instantly. It was fun watching the movies with our second generation of kids. I found myself watching my son watching his son’s reactions to the moves. When I come to visit you lets watch the movie with your grandkids Okay?